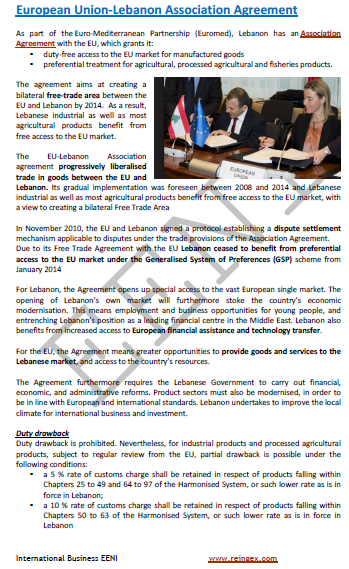 Syllabus of the Online Course (Subject): Foreign Trade and Business in Lebanon - Beirut. 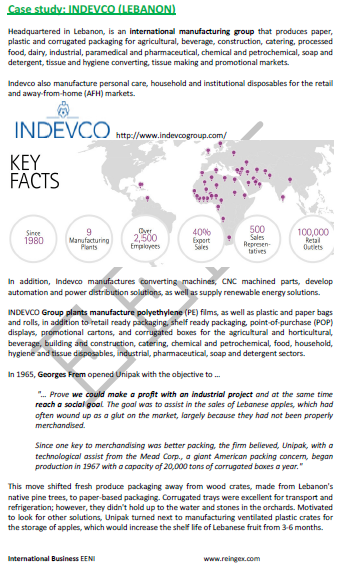 Description of the Online Course: International Trade and Business in Lebanon. 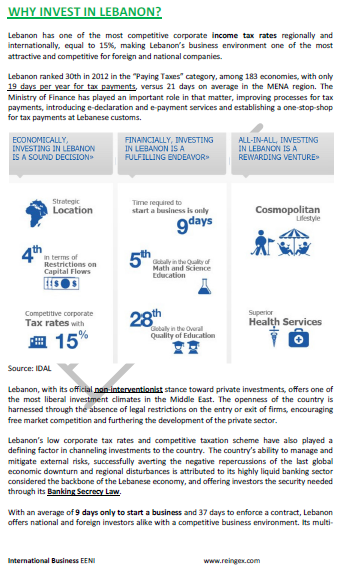 Lebanon belongs to Arab Economic Area (Islamic Civilisation). The Lebanese agricultural sector accounts for about 7% of GDP. 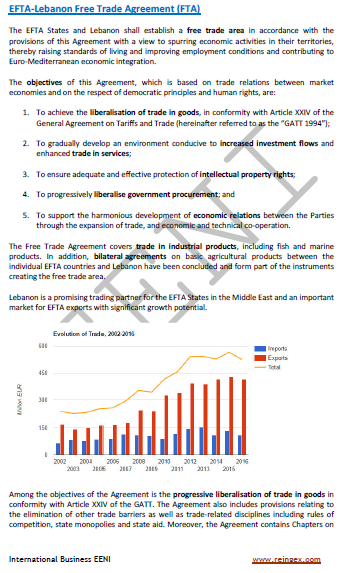 Lebanon's Regional Institutions and Trade Agreements.